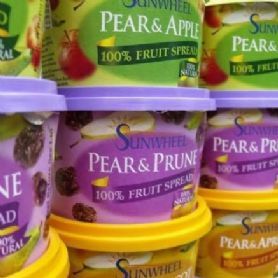 We are a small friendly team based in North Somerset who have been selling Sunwheel Fruit Spread for ..can you believe 15 years. We are thrilled that today's health trends are steering us and our children away from sugar laden foods that lack nutrients. We will continue to share ways to use our Fruit Spread and enjoy the #HealthySwaps you can make with them. Please let us know how you like to use them so we can 'spread' the word!